So you need to build a visualization of data that must loaded and interface dynamically. Good looks are important so you chose JavaFX but you are starting from an existing Swing based application. No problem right? But what if you have a lot of data to load into your Scene? How do you maintain a positive User Experience? Maybe you are using the NetBeans Platform because... well.. it's pretty awesome. Operating your application is very responsive up until the point at which you parse and display the data, but then there is a slight wait or even hang while the JavaFX scene is constructed. The end visual is great but the user experience is tainted by a multi-second wait. This can be dealt with, you just need to visually acknowledge the user with some sort of animation to let him know... "Hey I'm still here don't worry!" No problem. The following pattern is how you can easily accomplish this either from a straight Swing interop or embedded from a NetBeans Platform application. Understanding of the standard JFXPanel interop pattern. 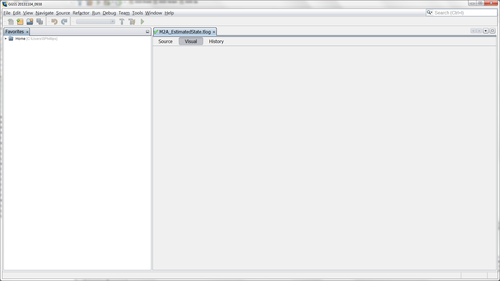 This tutorial was accomplished using NetBeans IDE 7.4 which is just great... go get it! The version of JavaFX is a 2.x runtime taken from Java 1.7u45. If you are working from the early releases of JDK 8 then you won't have to worry about wrapping the JavaFX runtime into your NetBeans Platform app... its automagic. 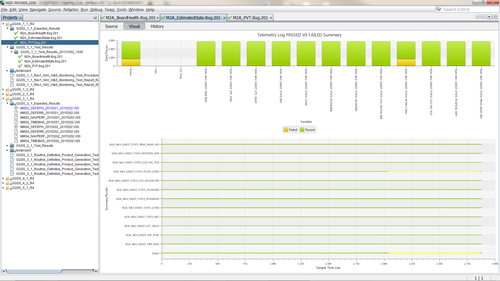 Which intends to load two complicated JavaFX charts (a StackedBarChar and a categorized ScatterPlot. This will display some nice spinners on the screen. Notice the little spinner above the big spinner? 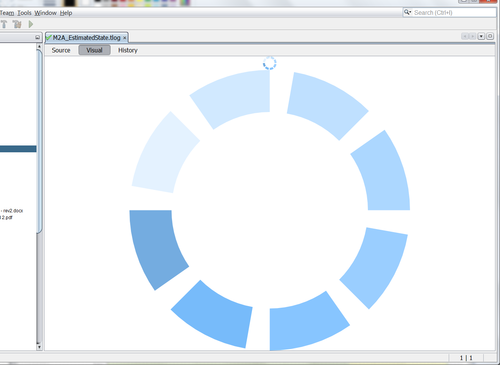 Yeah I used a BorderPane... for the example and those are the default resizes that JavaFX does. Plus trust me they are spinning. Customize with whatever lightweight graphics you like. Here's something that may catch some of you like it did me: make sure your scene construction is done inside the Task call() method but outside the Platform.runLater() run() method. Anything inside the Platform.runLater() will still block and will not be done Asynchronously. The only thing you need inside your runLater() is what MUST be there which is anything that directly changes the screen itself, such as adding your fully constructed JavaFX components to the scene. Sorta-Pro tip: Build it asynchronously... add it synchronously. Now that I have my data loads animated I don't have to worry about my really crappy inefficient file parsing algorithms!! You now have a method that can be called whenever you wish to update your view, like say if your file data is changed either manually or by external process. Mechanisms are provided by the NetBeans Platform to do this and explaining such is provided by the API and other Tutorials.